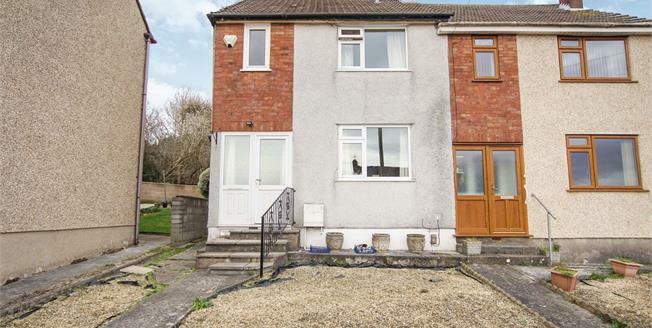 Taylors Kingswood are pleased to present to the market this ideal semi-detached starter home, the accommodation consists of; entrance hall, lounge, kitchen/ diner and downstairs wet room. To the first floor are two double bedrooms and a fully fitted bathroom. To the outside a low maintenance rear garden. Early viewing is recommended. UPVC front double glazed door. Radiator, laminate flooring. UPVC back double glazed door. Double glazed uPVC window facing the rear. Laminate flooring. Roll edge work surface, fitted units, sink with drainer, integrated oven, integrated hob, over hob extractor. Double glazed uPVC window with frosted glass facing the rear. Heated towel rail, tiled flooring. Low level WC, walk-in shower, wall-mounted sink, extractor fan. Double glazed uPVC window facing the rear. Radiator, vinyl flooring. Low level WC, roll top bath with mixer tap, wet room, pedestal sink with mixer tap.